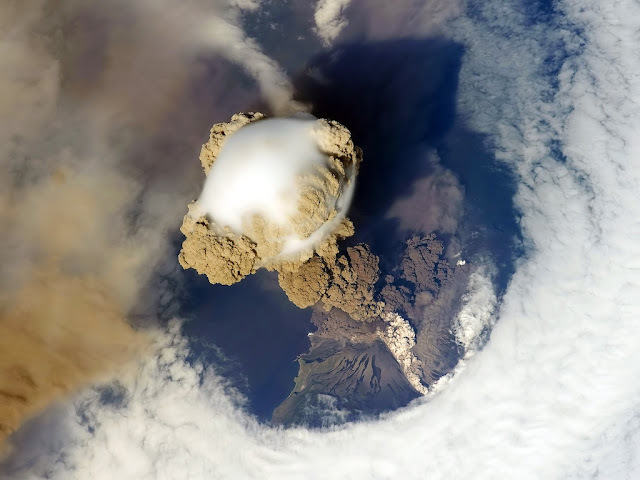 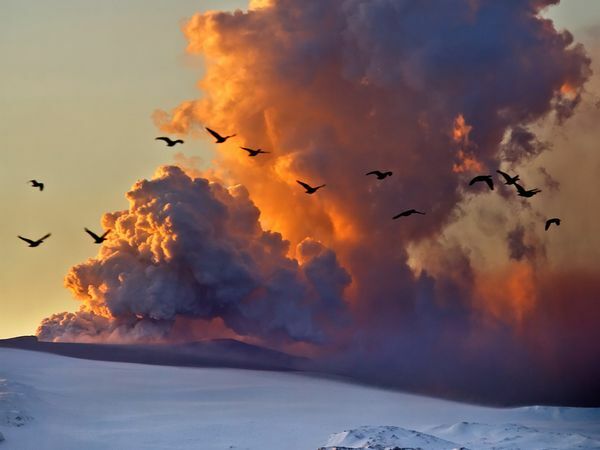 During a volcanic eruption, lava, tephra (ash, lapilli, volcanic bombs and blocks), and various gases are expelled from a volcanic vent or fissure. 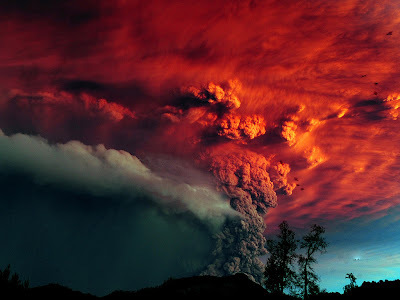 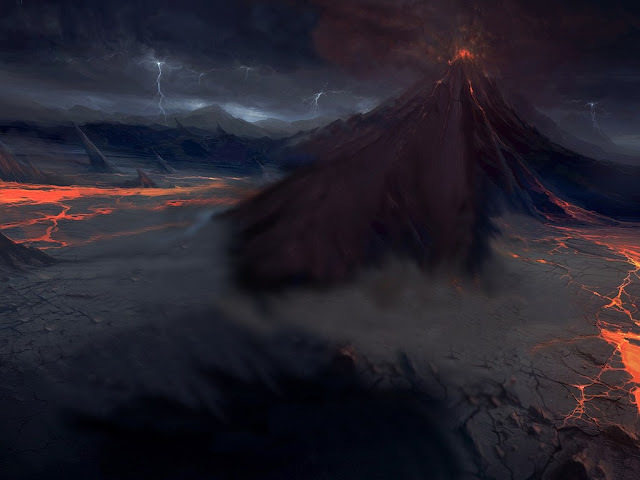 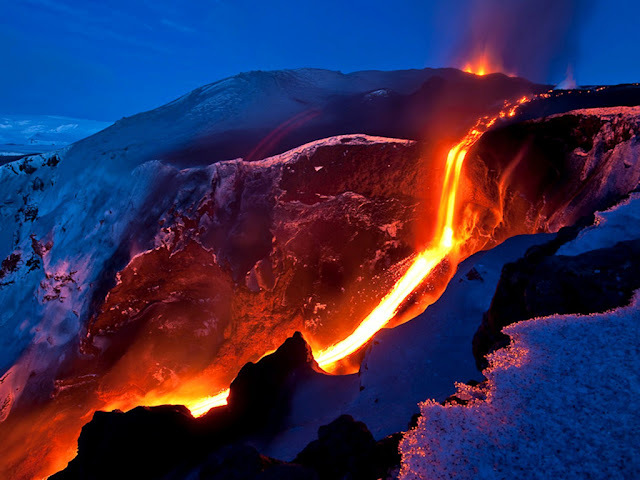 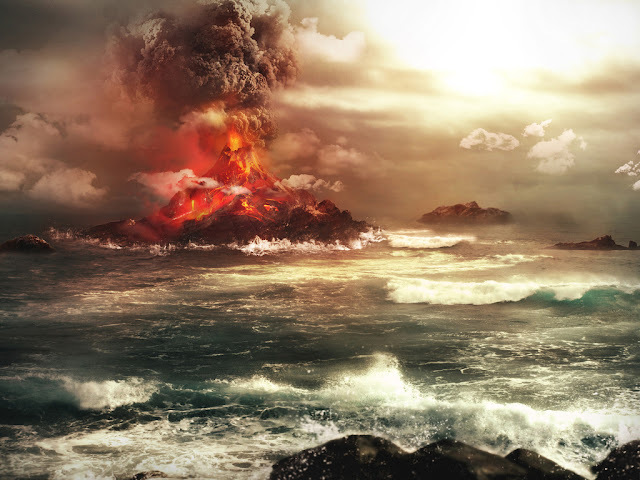 Several types of volcanic eruptions have been distinguished by volcanologists. 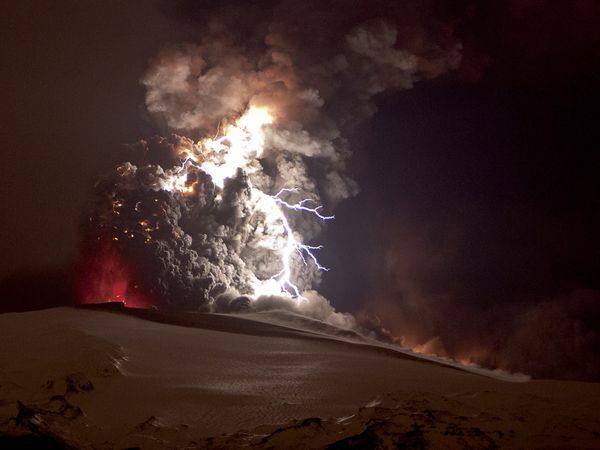 These are often named after famous volcanoes where that type of behavior has been observed. 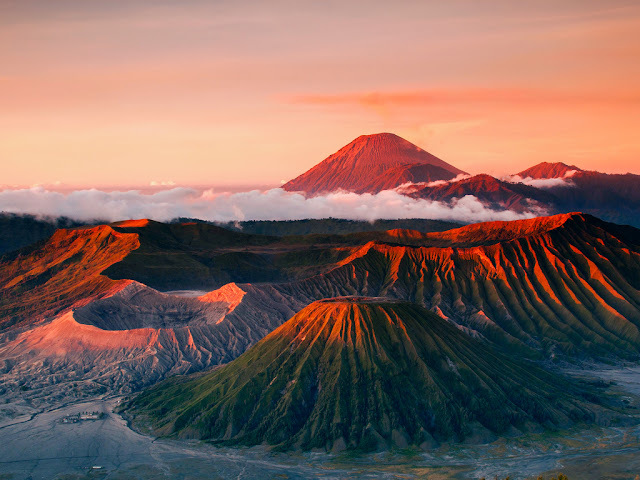 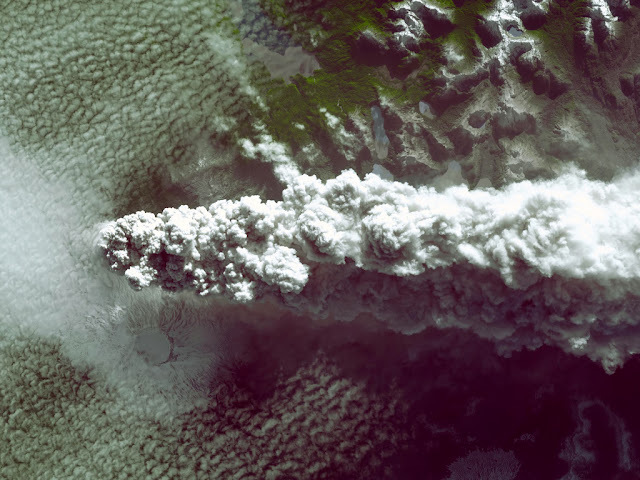 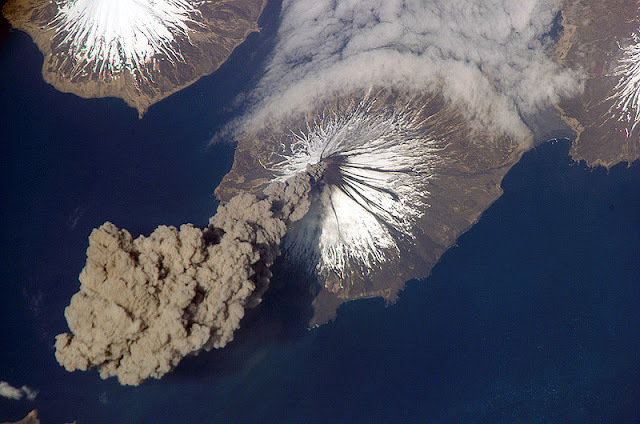 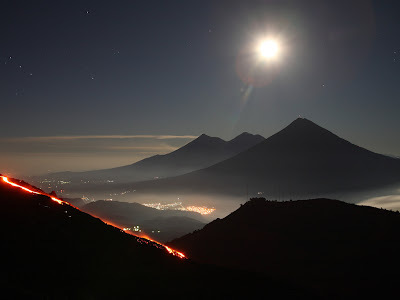 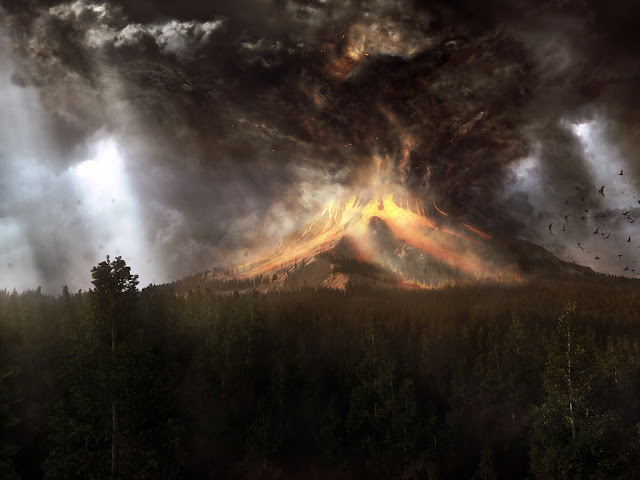 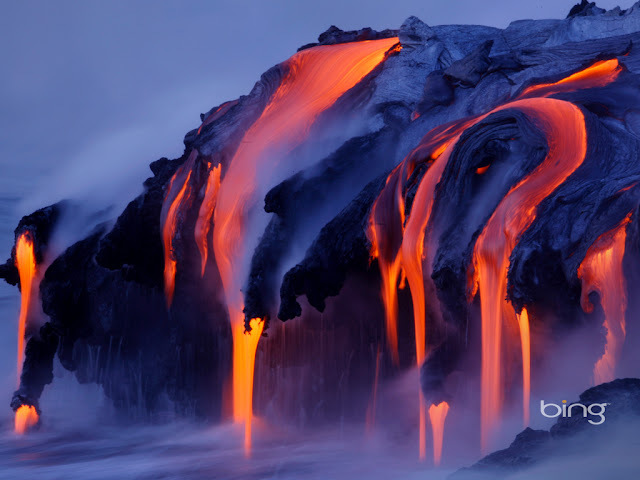 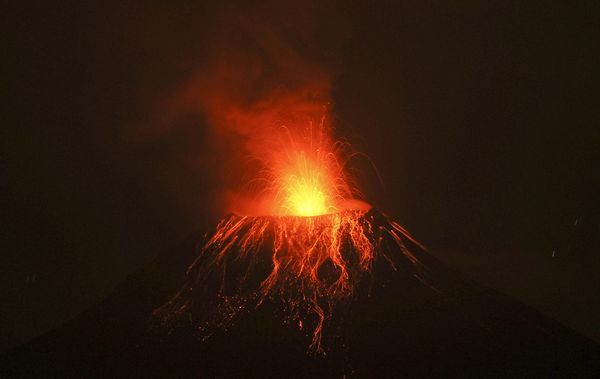 Some volcanoes may exhibit only one characteristic type of eruption during a period of activity, while others may display an entire sequence of types all in one eruptive series. 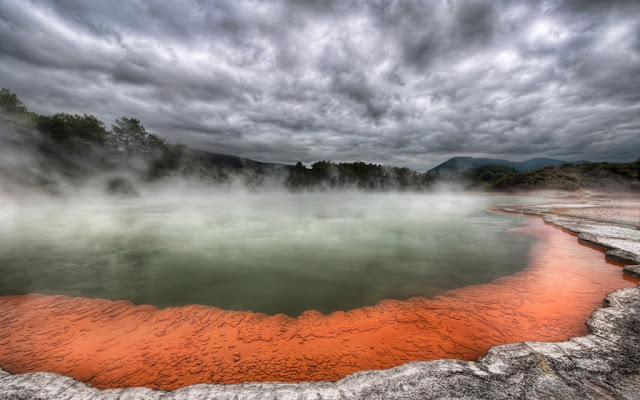 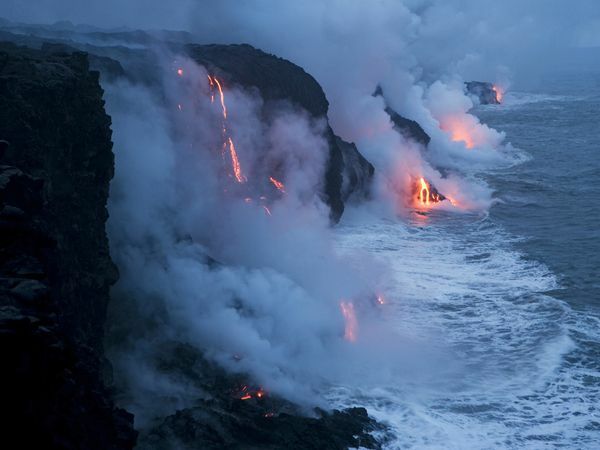 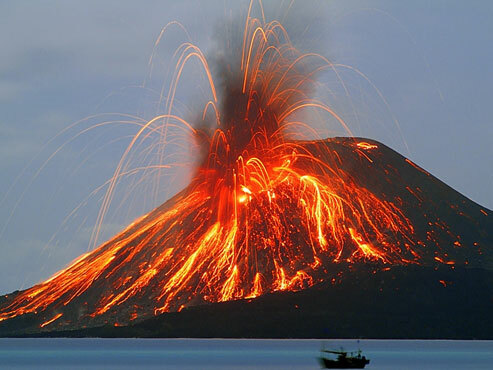 There are three different metatypes of eruptions. 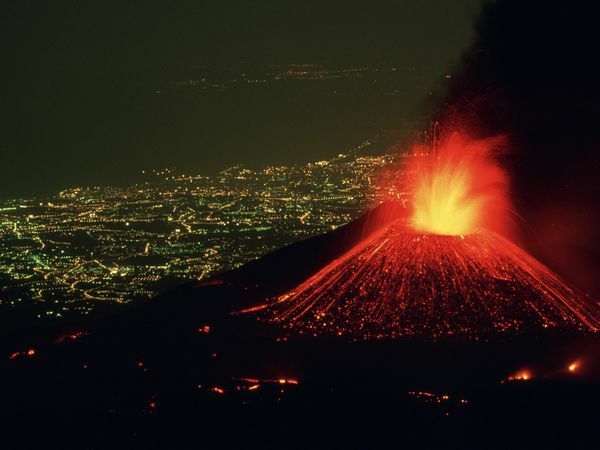 The most well-observed are magmatic eruptions, which involve the decompression of gas within magma that propels it forward. 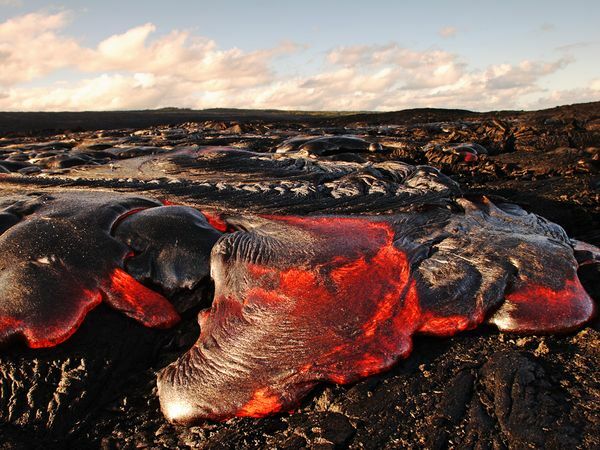 Phreatomagmatic eruptions are another type of volcanic eruption, driven by the compression of gas within magma, the direct opposite of the process powering magmatic activity. 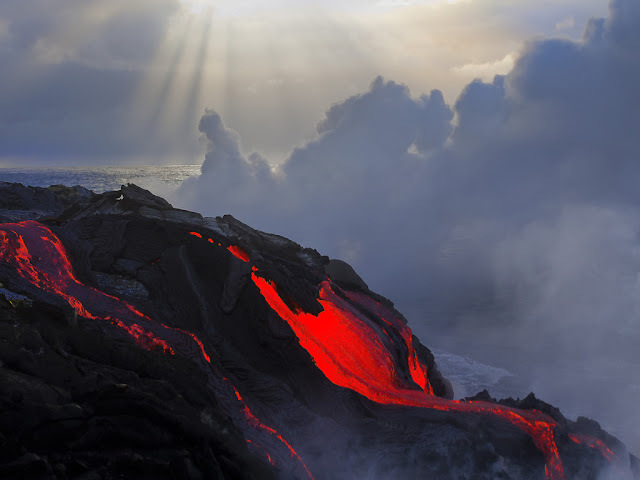 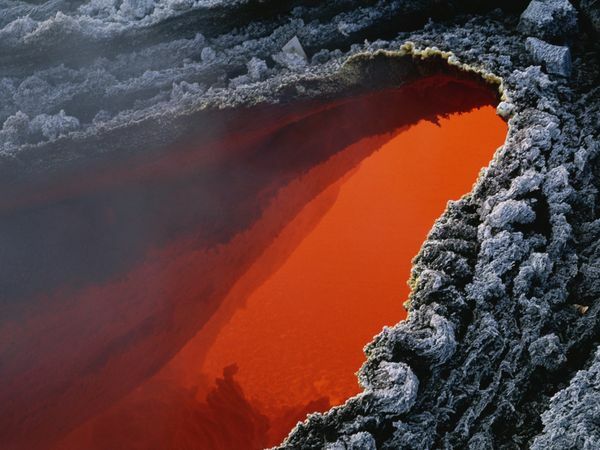 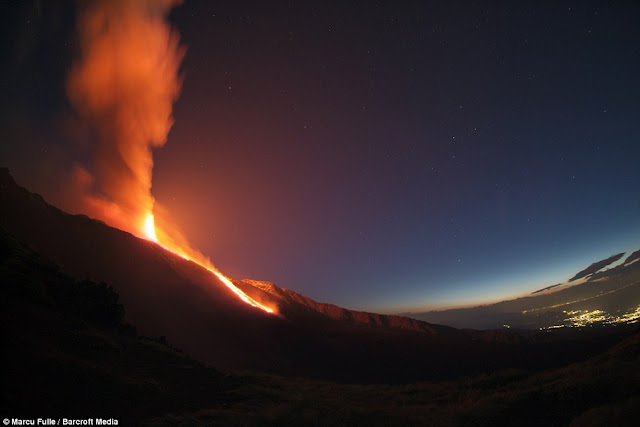 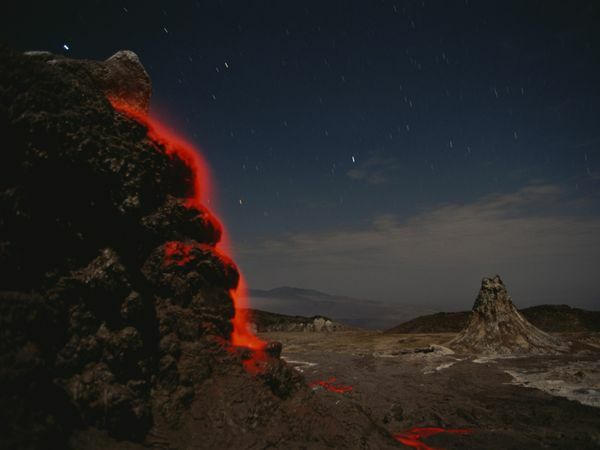 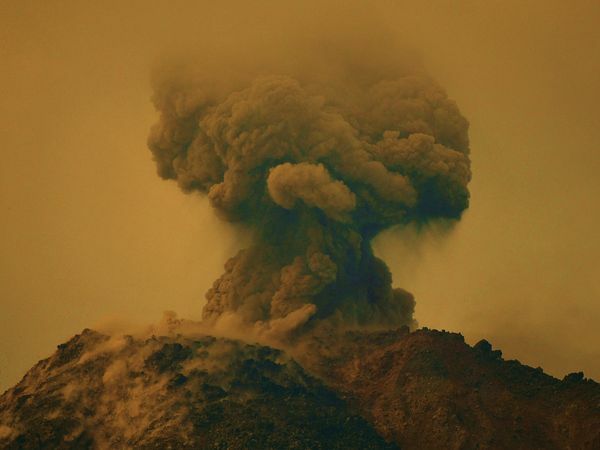 The last eruptive metatype is the phreatic eruption, which is driven by the superheating of steam via contact with magma; these eruptive types often exhibit no magmatic release, instead causing the granulation of existing rock. 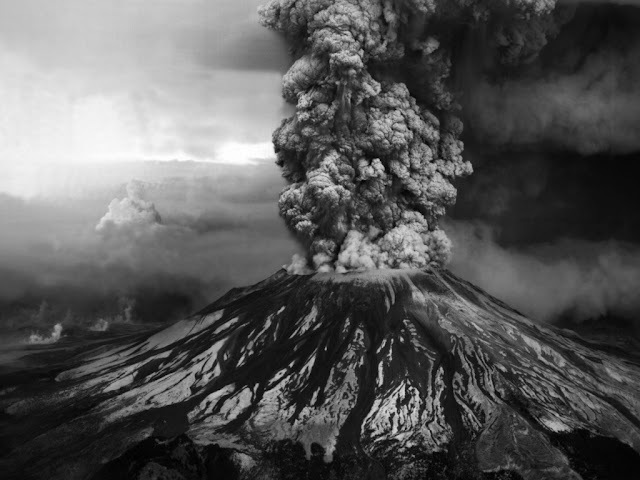 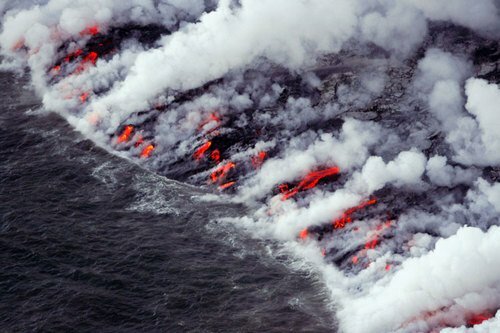 Within these wide-defining eruptive types are several subtypes. 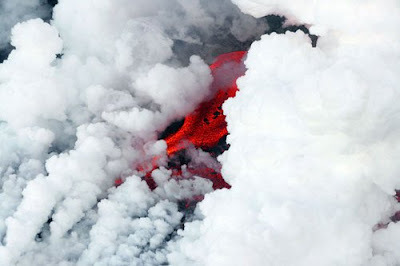 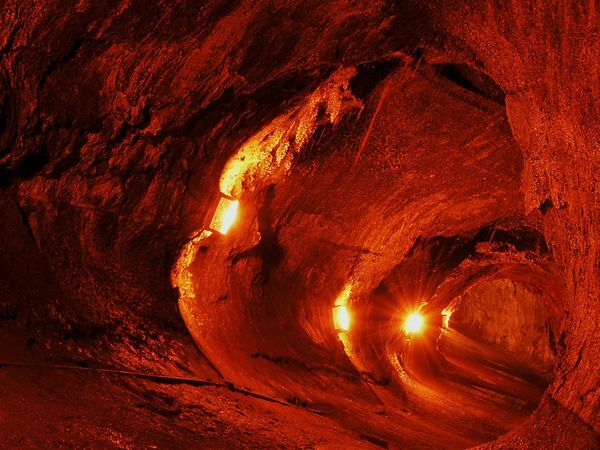 The weakest are Hawaiian and submarine, then Strombolian, followed by Vulcanian and Surtseyan. 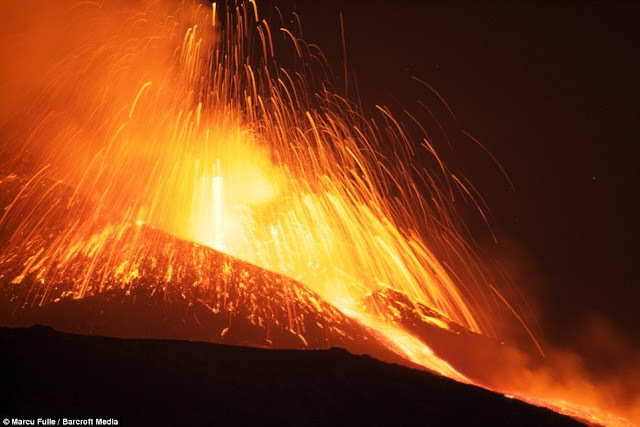 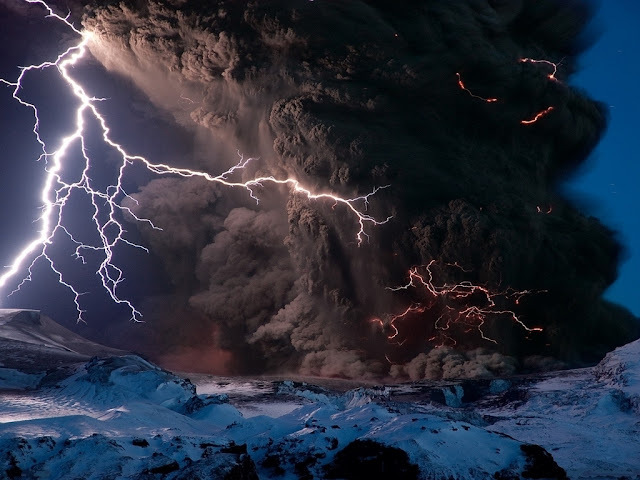 The stronger eruptive types are Pelean eruptions, followed by Plinian eruptions; the strongest eruptions are called "Ultra Plinian." 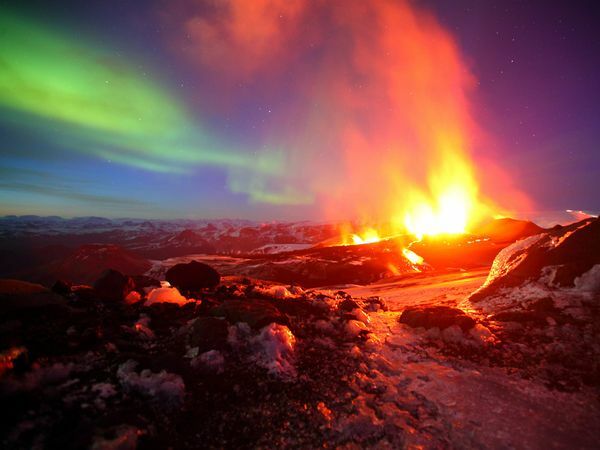 Subglacial and phreatic eruptions are defined by their eruptive mechanism, and vary in strength. 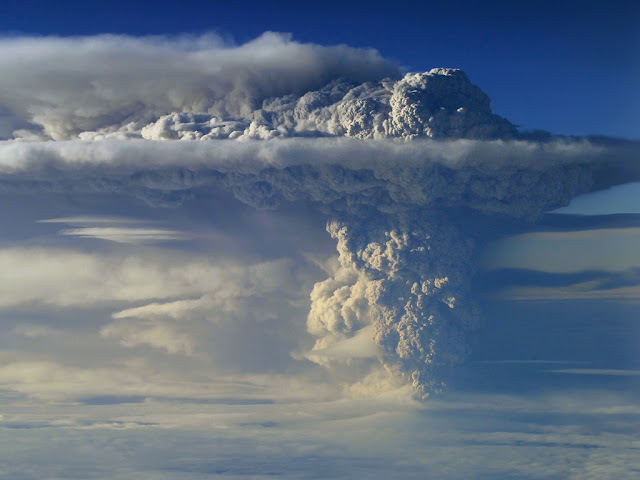 An important measure of eruptive strength is Volcanic Explosivity Index (VEI), a magnitudic scale ranging from 0 to 8 that often correlates to eruptive types. 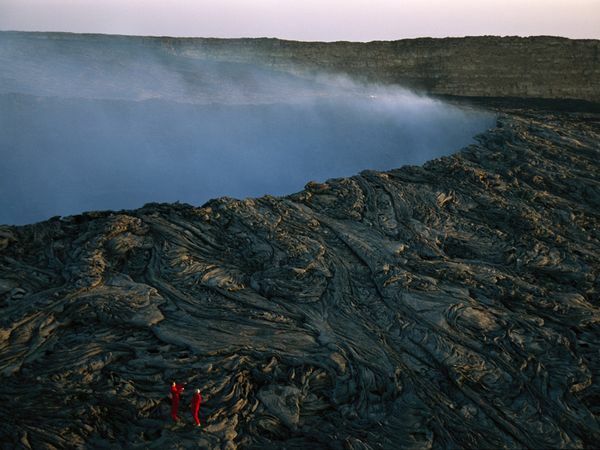 The devastation wrought by the volcanic explosion left 75% of the island in total ruin. 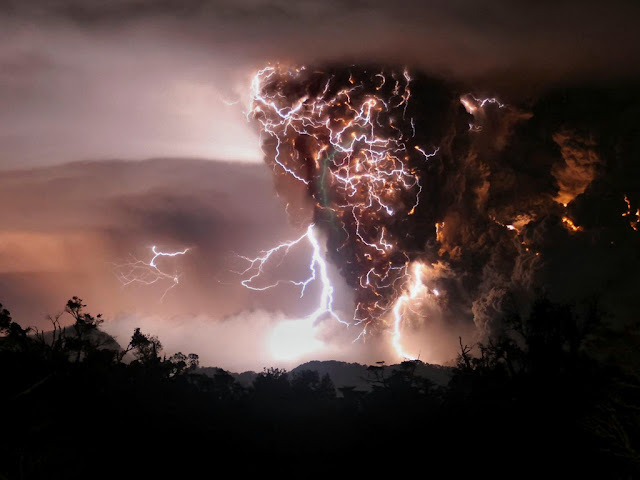 The sound blast was the loudest that was ever recorded and was even heard as far as Australia.